All to often, sponsors provide logos that contain unwanted graphic elements, backgrounds and text or are low quality, blurry, pixelated, etc. Not only will the logo reproduce poorly, the colors will likely appear inaccurate to the brand and the message will be low grade or illegible. 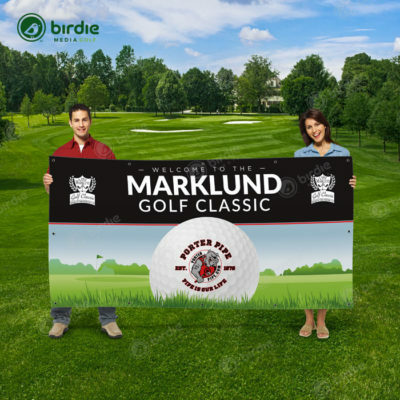 After contributing to a golf charity, the last thing a sponsor wants is to be inadequately represented. Most logos pulled from a website are not ideal for print reproduction and will not retain sharp edges and clear type. In these cases, it is important to recreate logos that are unsuitable for print so your signage doesn’t result in a low quality image reproduction. Our art staff will reproduce logos in vector format using the closest possible font as the original. The recreated logo will be emailed to you for future use. Our preferred logo file formats are vector-based .cdr, .svg, .eps, .ai or .pdf. 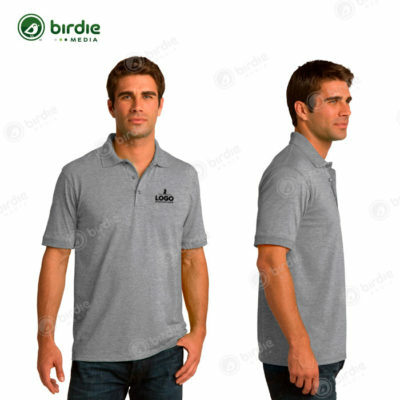 If you are unable to provide each logo in one of the specified formats our art department will need to recreate the logo to ensure proper print quality. The following logo formats are raster files and are not suitable for print reproduction: (.jpg, .png, .bmp, .ppt, .doc or docx). The Birdie Media rectangle logo example illustrates the difference between raster and vector artwork. Raster artwork will continue to get blurrier and less refined the more it is scaled up in size. Vector artwork can be scaled indefinitely without any loss of color or crispness. There is a logo recreation fee of $25/logo. The recreated vector logo can be emailed to you upon request and can be used for future print usage such as business cards, vinyl graphics, marketing collateral, etc. All logos should be submitted in vector format. (Examples: .EPS, .AI, .CDR, .SVG or .PDF) Vector art files ensure that your logo will reproduce properly and can be enlarged indefinitely without any degradation. If you are unable to provide this format then we will have no choice but to print on a white background and there is a high probability that the logo will print fuzzy and/or pixelated. The situation will be the same whether it is printed locally or by Birdie Media. The following formats ARE NOT vector and are instead know as raster logos which are made up of tiny square pixels: (.JPG, .PNG, .BMP, .TIFF or .GIF) Logos saved in Microsoft Word or PowerPoint also are raster files and often do not reproduce with accurate color clarity or crisp edges. They will also print with a white frame/box surrounding the logo because the text and/or icon isn’t isolated from the white background as it should be. 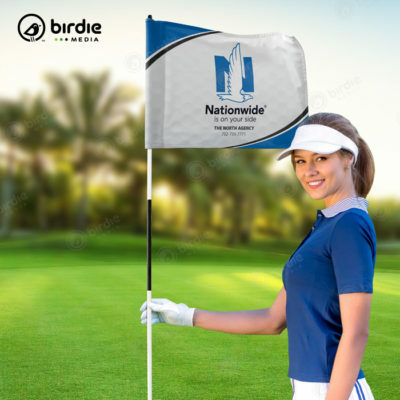 Birdie Media will not be responsible for blurry, pixelated, illegible graphics with inaccurate color due to the insisted usage of a non-vector logo. Vector graphics are an image generated from mathematical descriptions that determine the position, length, and direction in which lines are drawn. Vector graphics are created as collections of lines rather than as patterns of individual dots/pixels like a bitmap. If you would like to use text instead of a logo or in addition to a logo, simply type out the verbiage you’d like to have printed. Remember to keep text characters to a minimum as the longer the verbiage the more difficult it will be to read and the smaller it will need to become so that it fits properly on your promotional product. Please check for spelling and grammar errors as you will be responsible for your typed message. The message will be formatted by one of our art staff exactly as you have submitted the text. A font will be selected that is easily visible on printed products and complimentary to the sponsor’s existing branding. Please provide the sponsors website address as a branding reference for the artist. 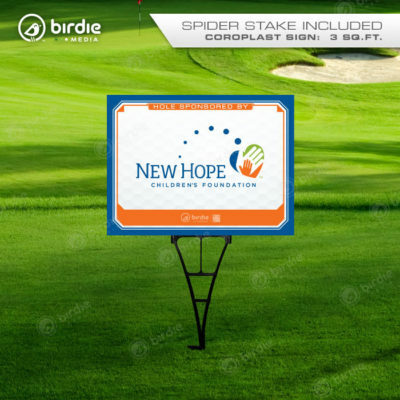 There is no fee for setting up text in place of using a logo however; most sponsors are paying to have their logo visible to golfers, staff and spectators. In return for their contribution they are likely to expect to have their brand represented. 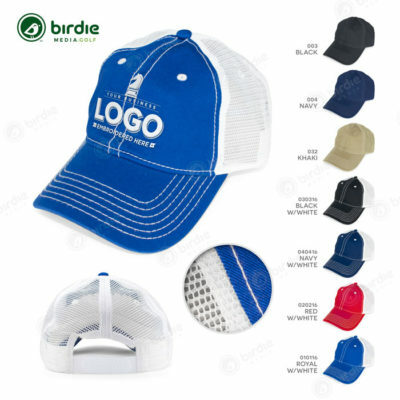 People associate logos with a company, product or service. Brand recognition is of paramount importance so using plain text in place of a logo is a great disservice to the sponsor.